What System is Really Best For You? From traditional digital systems to VoIP and hosted cloud systems, One Source Communications is able to install and service a wide range of telephone systems for your business. Whether you have just a few phones or are a large business with multiple locations and more complex needs, we can help. We strive to enhance your customer experience and meet your company's communications needs. The answer to the question of what is best for your business is more about benefits, specific functionality, and costs than it is about looking at buzzwords like "Cloud", "VOIP", or other terms you hear. You must ask, what does this technology do for me? At One Source we have the expertise to explain what different technologies offer. 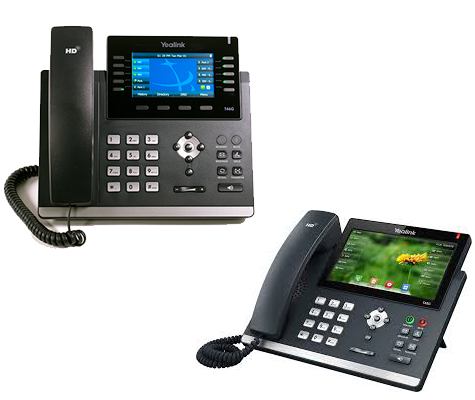 Traditional premise based phones systems are simply systems you purchase or lease that are physically installed in your office. These systems are absolutely appropriate for many businesses. The systems we install have highly developed feature sets and offer ease of use for your staff. They are also very cost effective for many applications. Premise systems can be deployed with traditional phone lines, PRI, or SIP. They also can be deployed with VoIP phones and service multiple locations from a single server. 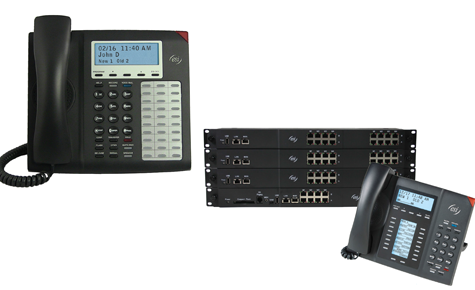 Hosted or Cloud PBX systems do not require a physical system to be installed in your office. 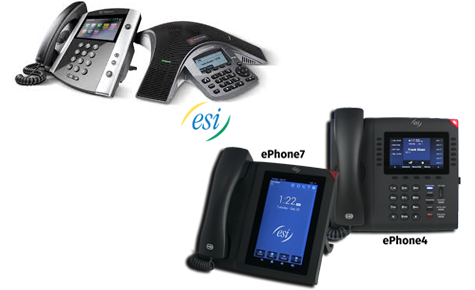 IP telephones are installed and controlled by remote servers located at various data centers. The connection to the data center is typically made over your internet connection. Hosted systems offer the flexibility of online portals for management and program changes. The pricing model is much like mobile phones in that you purchase or lease the phone sets and pay a monthly charge per extension. Cloud systems also provide easy support for multiple locations. A blended architecture system is very much what it sounds like – a combination of premise basesd and cloud based systems. With this technology a cloud connection manager is installed at your office but the “heavy lifting” is all done in the cloud. All calls within your office are handled locally. As a comparison, if you call the desk right next to you on a hosted system, the call goes out your internet connection, to the remote data center, and back in your internet connection to the phone you are calling. With blended architecture, that call is handled internally and uses zero bandwidth. Should you lose your internet connection all internal phones still work. In addition, since the automated attendant is in the cloud, callers always get through. The cloud automated attendant simply routes callers to your failover destination automatically. Another advantage of this approach is improved call quality. Many voice over IP systems experience quality problems because of the nature if the internet. The Cloud Connection Manager installed on premise allows QoS (Quality Of Service) to be implemented end to end ensuring higher quality audio.